In the board game Imperial Assault, Rebel heroes campaign together against the might of the Imperium. 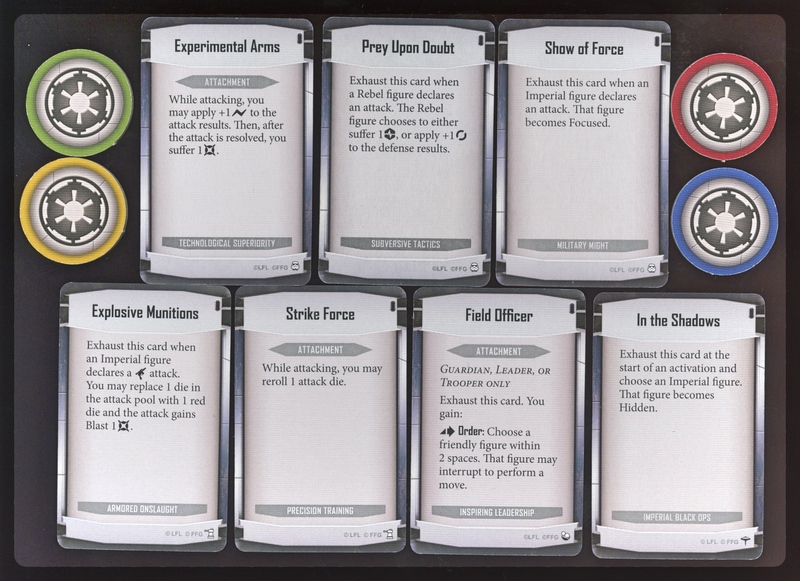 As a veteran of 7 full Imperial Assault Campaigns as both Imperial baddie and Rebel hero – 3 Core, 2 Hoth, 2 Twin Shadows, a couple of Bespin missions – I know the class deck chosen by the Imperial games master (GM) shapes half or more of how the game is played, and this influence is magnified as Agenda cards make the class deck more potent. Rookie: Self and Survival Oriented Please, please let me get through this session without anybody getting hurt, angry, or storming out of the room. If someone did storm out you may not know why because you’re so busy trying to remember how things are supposed to work. You read the manual multiple times but contact time is different, really different. Oh, look at that, time’s up, gotta go. Er, can we finish this later…? Intermediate: Procedure Oriented OK, I got this. Not much downtime consulting the manual and basic decisions are automatic. Can provide a stream of challenges and, damn it, I know how to win! People may not always leave happy but no mid-session “How much longer will this run do you think?” and people come back for the next session. There might be a lot of clockwatching but sessions are predictable in length and offer a uniform experience. Veteran: People and Outcome Oriented The choices I make two days in advance can drastically improve the future experience for everyone once things get started so that I can enjoy the moment along with my people. I’m focussed on getting and then keeping everyone engaged, interested, and excited. This, in turn, makes my job meaningful and enjoyable. Sessions fly by and always seem to end early even if it’s late. People hang around to talk after. The Holy Grail of coop gaming. The veteran GM knows players, win or lose, need enough positive reinforcement to make success feel attainable next time around. 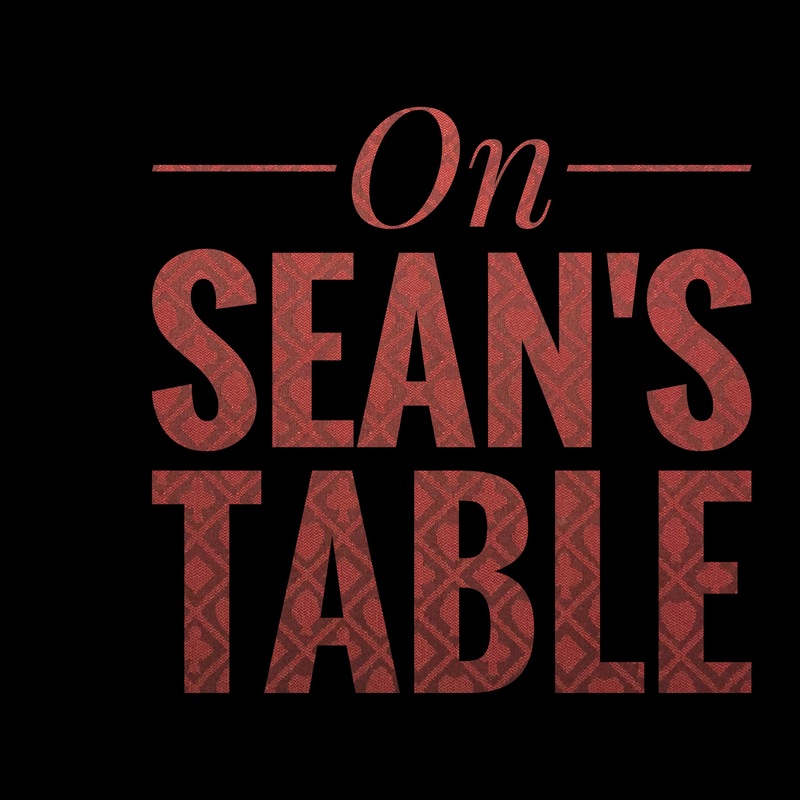 Defeats should feel like learning experiences, not the precursor to the next failure. It is a hobby about games after all. That’s why I know now to avoid decks like Subversive Tactics, choosing any of the other ones instead. This aptly named deck is a joy killer. It offers little to the Imperial GM except the constant opportunity to stifle their players. It focuses on taking away options and turns a lot of the Imperial decisions into the rote and automatic dishing out of strain, or the odd reaction after a hero rests. Putting Bleed on players with Savage Weaponry, this decks only attachment, just compounds the problem. Weary Target = Weary Players When filled up with strain Heroes can’t do the things that make them heroic and fun to play. Heroes are forced to rest more often to clear the strain. In game terms I understand this deck represents an effective and valid strategy; however, I guarantee novice, intermediate, and most veteran players aren’t coming to your game sessions to use their actions to rest and clear strain while looking wistfully at their cool abilities. For me, this deck got old three missions into a full campaign and feedback from the players was pretty clear – Don’t play that class again! This class deck will allow veteran players to avoid being wounded as soon and to show off how well they can shed strain with surges and other tricks, if they develop order-of-activation and player coordination into an art form. Executioner, Oppression, and No Quarter cards can present an interesting challenge for the Imperial player. In short, veteran players can beat this deck, but are they having fun doing it? I know that I don’t as the Imperial player. Military Might is another base set class deck. 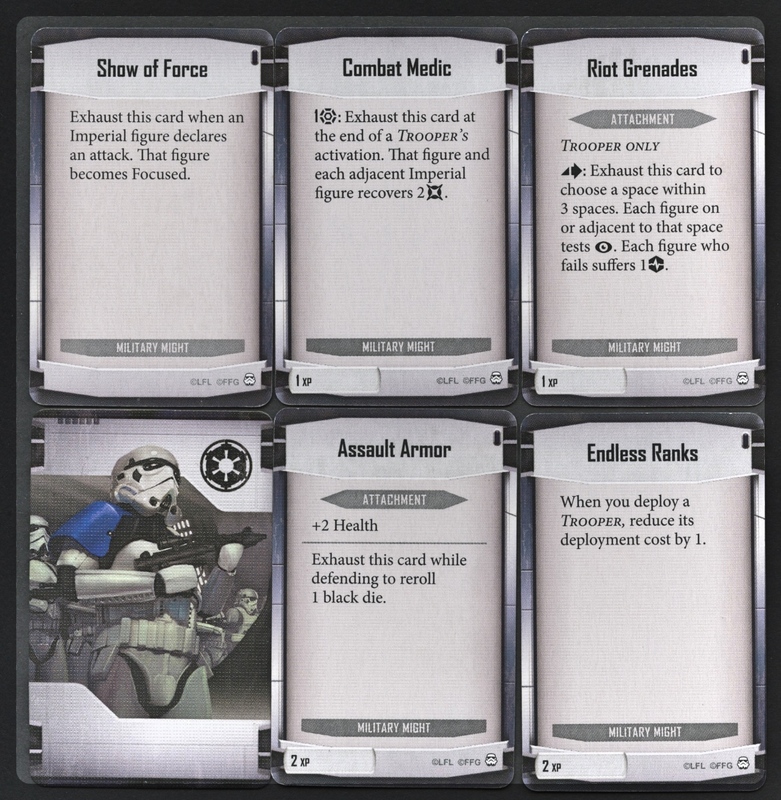 Riot Grenades aside, this deck buffs Imperial troops by improving survivability and makes troops hit harder. It’s fun! Now, this deck will wound the heroes more quickly and frequently. What this deck doesn’t do, however, is nerf the heroes cool combos. And that’s a good thing. 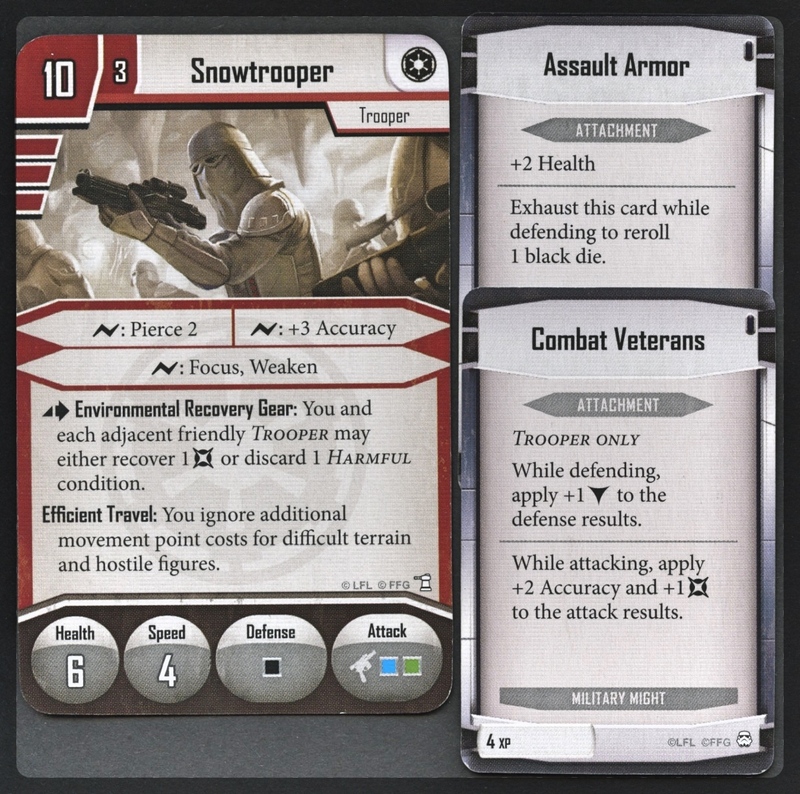 Yes, players will groan when faced with this near unkillable Snowtroopers combo built with the Military Might deck but they’ll still be able to outrun, out-activate, and in the later campaign, just plain kill what the Imperial player throws in their way. The cards below are the starter cards from each Imperial class deck released before the Jabba’s Realm expansion. You can get an idea of the purpose of the decks from these. Edit: With Jabba’s Realm now in hand the focus of the two new class decks is on buffing Imperial villains and buffing Mercs with hero Loku-like powers. Both decks allow people who have bought deeply into the system (i.e. Me!) to get their figure packs into the game more often. Sweet! One of these not like the others is. Strong the Dark Side is but hated it will make you. Choose wisely. What are your thoughts on playing with or against the Imperial Class decks? Any favourites? Any that you hate? ← DAK Profile Guide by AK Interactive: Would we buy it again? Nice post! Admittedly I didn’t go too deep into Imperial Assault, but your Rookie/Intermediate/Veteran classification got me thinking about the elusive ‘right’ level of familiarity with rules. I think it’s different for board games than it is for RPGs (and Imperial Assault is right in the middle of these). I think an RPG works best if everyone knows the rules cold, then you can get on with the story which is where the challenge should be in an RPG. And then the game flows quickly. So for me, I want to play the same RPG a lot once you’ve got over the rules hump. Totally agree about the importance of GM preparation. As you got deeper into Imperial Assault, did you find that you were able to maintain the necessary tension? I.e. did the players ever feel that they were really at risk of dying or was there some other source of tension that did the job? Or was it more about just wanting to play out the story? Thanks taking the time to comment and the good thoughts! Your points about RPG Vs. Board Game mastery are incisive. I’d say that what kept the campaign going was the RPG elements of levelling a character up, forwarding the overall Rebel cause, and the sense of anticipation wondering, “What’s going to happen tonight?” as each IA mission put the Rebels in novel situations. The Hoth campaign had a lot of cool tricks up its sleeve. Sometimes heroes had to run for their lives, defend, attack, kill every Imperial figure on the board, or just plain hide. Cameos by R2D2, C3PO, Vader, Lando, and Leia didn’t hurt the narrative either. The board game rules of IA provided the structure and allowed the players to plan with some precision. As you say, once players have rules mastered they can get on with the business of having a narrative game flow quickly. Tension was maintained the majority of the time by having to solve the ‘puzzle’ of each of the missions and by working toward rewards granted by doing well (not necessarily winning) during missions. There is a skirmish mode of IA that dispenses with the campaign framework, the GM, and anything but a very, very limited narrative. It’s a hand-management, deck construction, miniatures game that’s a fully tried and tested major tournament ready game. Fantasy Flight runs tournaments for literally thousands of players all around the world. It’s that airtight a system. If you went to one of those tourneys in the “rule learning mode” you identified you’d get creamed. IA campaign on the other hand allows for players of all experience and ability levels to participate.